Feast your eyes, ready your tastebuds. 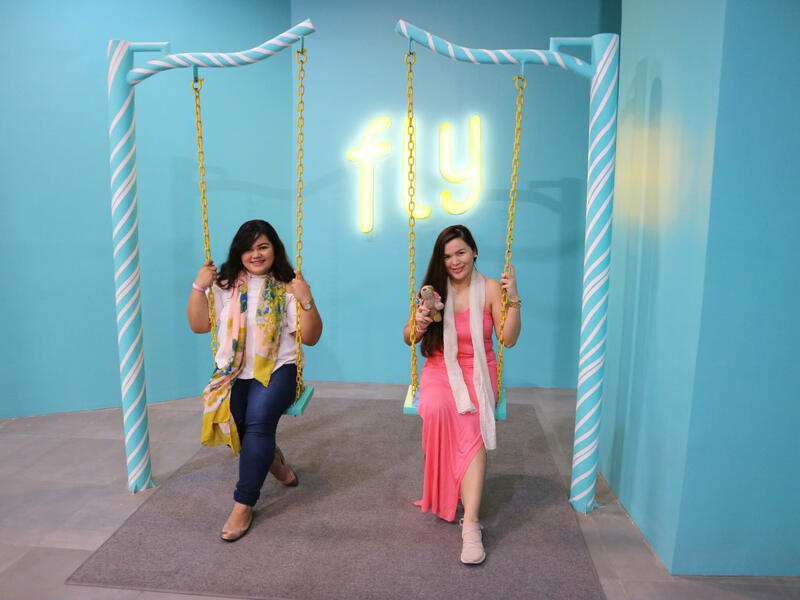 Something sweet, colorful, and exciting has taken over Manila! If you’re a sweet tooth like we both are, then you’re in for a sweet treat. Think Willy Wonka’s Chocolate Factory brought to life, only you get a ‘Pink’ ticket instead of the boring Gold one. Pretty cool right? 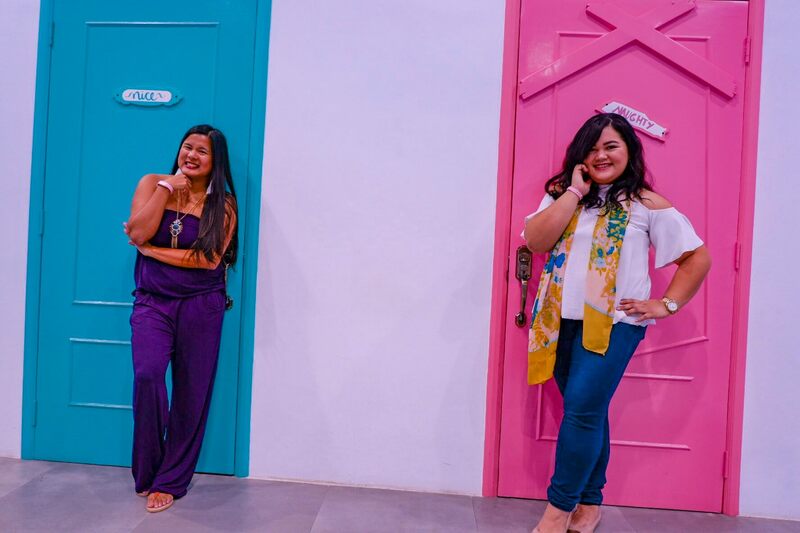 So in this article, we’d like to share with you a few things about The Dessert Museum Manila, how much it costs for the one-of-a-kind tasting experience, how to book, some sweet tips and other things you can expect. What is The Dessert Museum (TDM)? 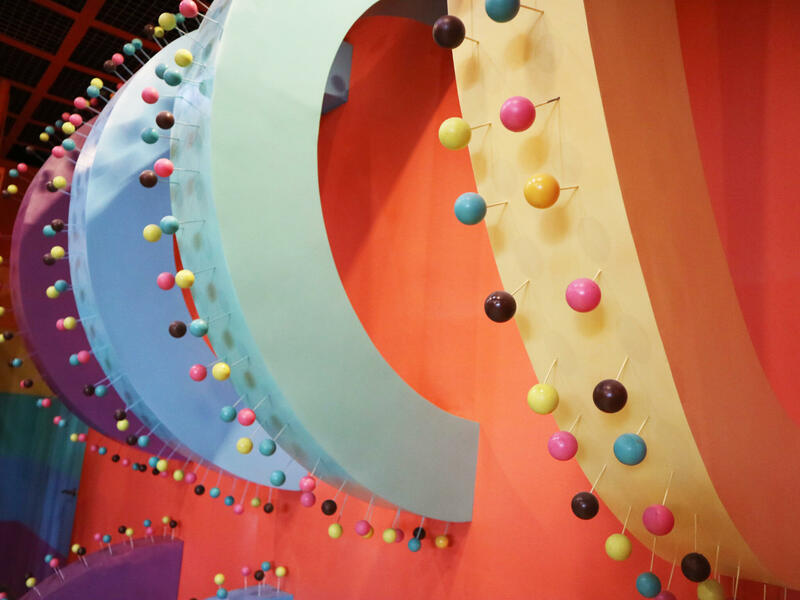 The Dessert Museum is literally a one big Instagram playground divided into 8 mouthwatering rooms of sugar-filled happiness. Each section gives snippets of cool fun facts about our favorite desserts. 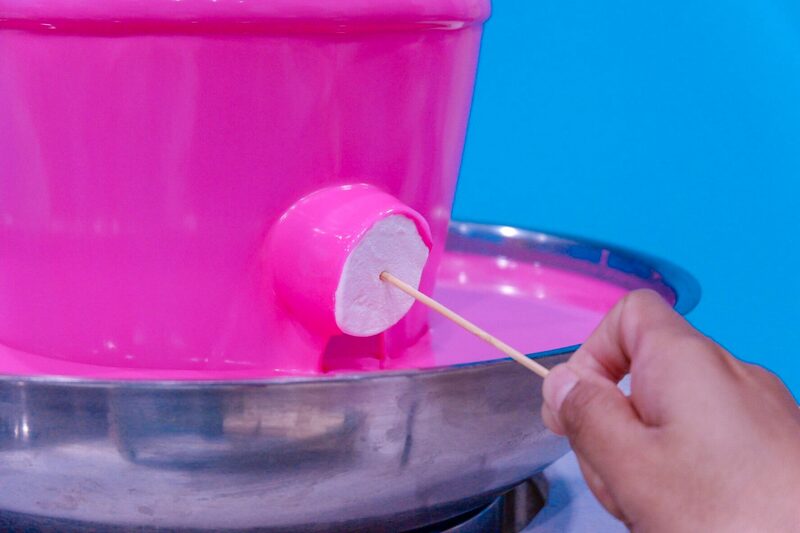 And aside from the photo op you can add on your Instagram stories, you’ll also get 5 to 6 different free and edible desserts as you follow TDM’s ‘Candy Rabbits’ around the museum. Opened just last February 2018, this is the only museum you’ll ever slide into! So get those comfy OOTDs and sneaks on! The Dessert Museum is located at the ground floor of the S Maison Mall, at Conrad Hotel Manila, Mall of Asia Complex, Pasay. If you’re not familiar with Conrad Hotel Manila, you can find it in between Buffet 101 – Seaside Blvd. 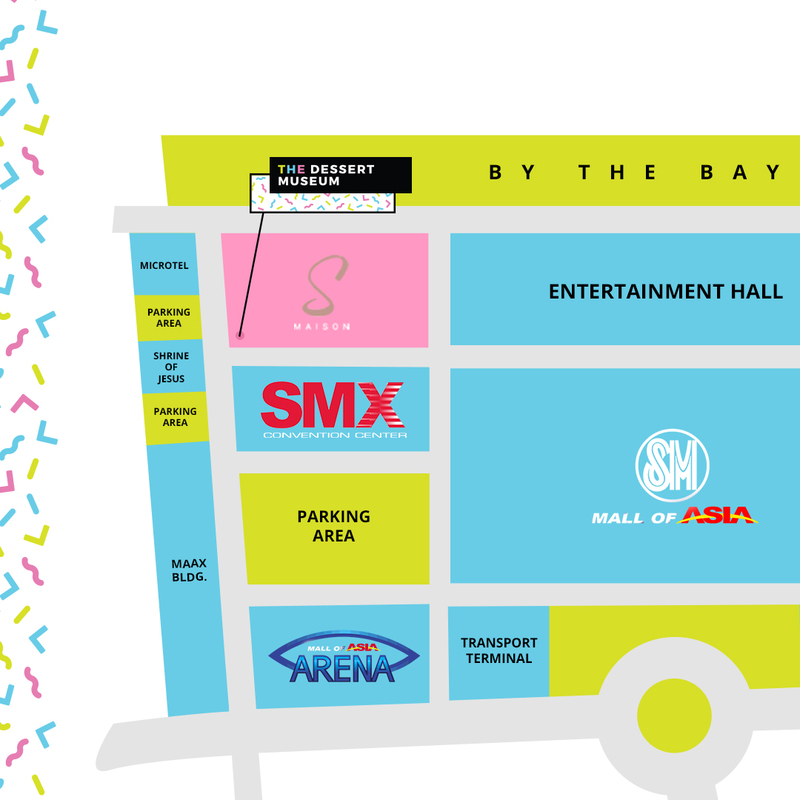 and SMX Convention Center. Then, you can easily get your way to the museum as it sits beside the Starbucks Coffee. 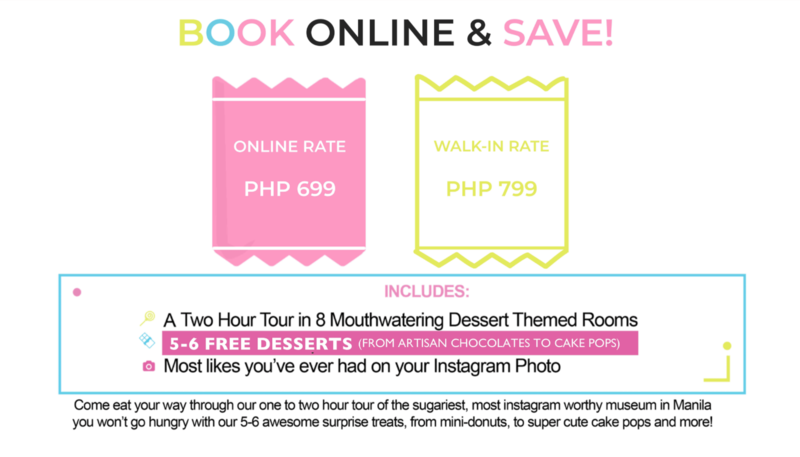 How much does a day at The Dessert Museum Manila cost? Tickets bought over the counter cost around P799 while tickets availed online cost around P699. Good news is that students can get the TDM experience for only P599 but only until 14 April 2018. So book early and book fast! 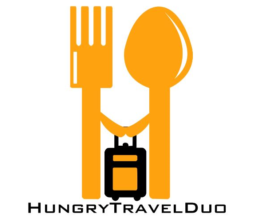 You can book through online by visiting their website. The booking page is actually pretty easy to navigate. Just choose your preferred date and time of visit. Next, register your name and contact details. And that’s it! Payment can be made using a credit card and debit card via Paypal or over the counter or online banking via Dragonpay. Also, prepare for the convenience fee that’ll costs around P38.99 to P62.49. Pro-Tip 1: Guests are required to come 20 minutes before their scheduled slot for processing of tickets. So if you’re in a group, better make sure you arrive complete! You are given 2 hours to complete the tour and 15 minutes to play, eat and take photos in each room. We know it’s not much, especially if you’re extra particular with taking that perfect IG-worthy shot, right? 🙂 Some rooms are more fun and interesting than the others. But, then it all works your creativity. Check out what to expect and do about each Dessert Room. Pro-Tip 2: Get a buddy and take turns taking photos of each other. Or, you can even buddy up with another pair for that perfect groupie shot! Ready for the #TDM Experience? Then slide down into your first stop: The Donut Room. Looking like the pink frosted ones Howard Simpson eats, feast your eyes on hundreds of doughnuts hanging from above. It literally felt it was raining with doughnuts. Sadly, they’re not edible, well at least not yet. 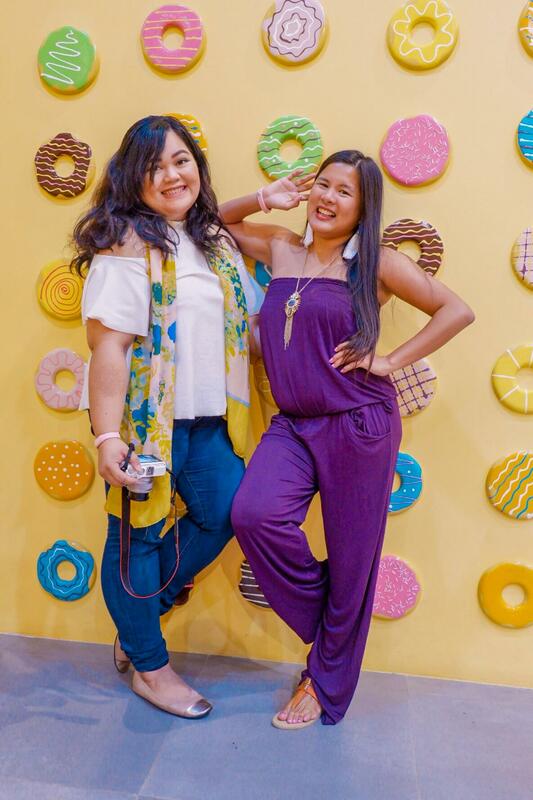 If you’re not fond of strawberry glazed donuts, then just scoot on over to the other wall covered with an array of colorful and yummy-looking ones. Pro Tip 3: If you’re not into slides, there’s a short staircase at the side too! 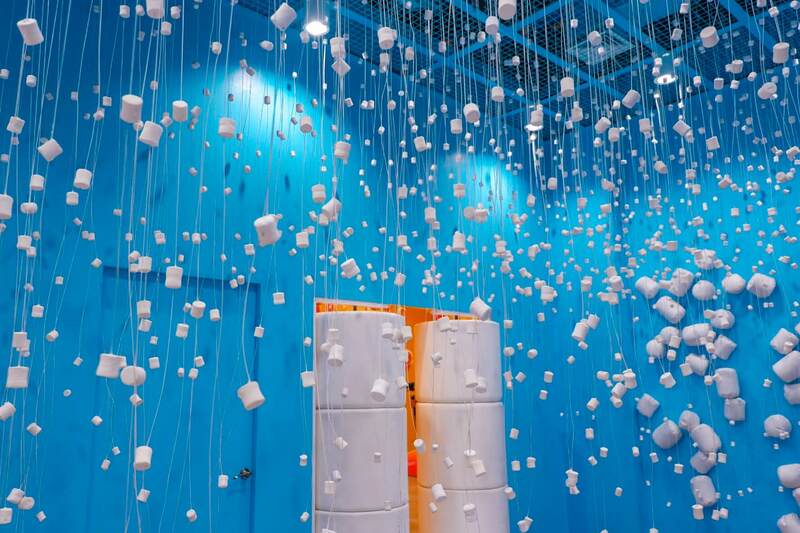 In the next room, it’ll be raining with marshmallows – about a thousand of them! Here, you can claim your free marshmallow. Indulge and dip it in TDM’s own chocolate fondue fountain in chocolate or strawberry flavors. Sometimes, caramel dipping is available too. Pro Tip 4: You can take a shot from below to make it seem you’re getting rained upon those gazillion fluffy mallows. Yum! Are you naughty or nice? Choose your fate by choosing a door! Of course we chose the strawberry fondue with our mallow! Are you naughty or nice? Before proceeding into the Candy Cane room, you’ll have to choose between two doors which represent you. Don’t worry, either door you choose (hey we won’t judge), you’ll still end up in the same room. 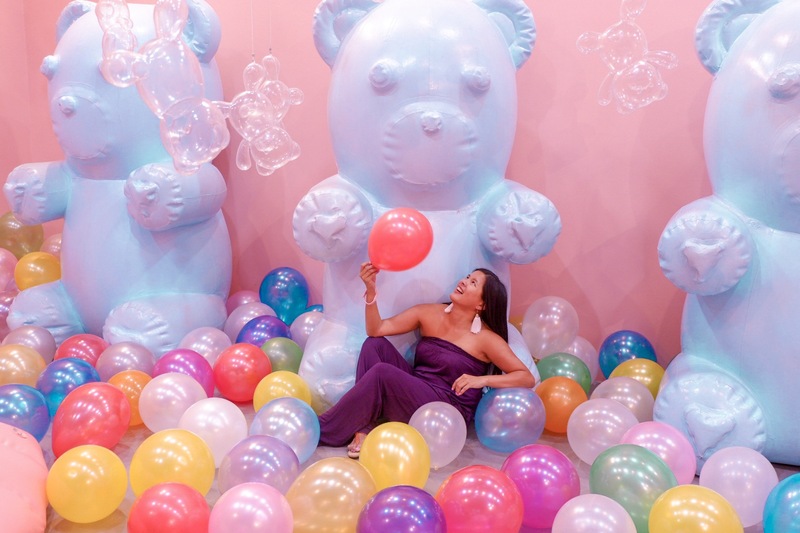 This was one of our favorites as it had a handful of interactive installations for playing like a see-saw, jump rope, swing, a corner full of colorful balls and another corner full of hearts. Once you’re done with your play and IG-worthy shots, claim your delicious macaron at the counter. Pro Tip 5: Don’t lose those pink wristbands! They’ll give you access to all those delicious treats. 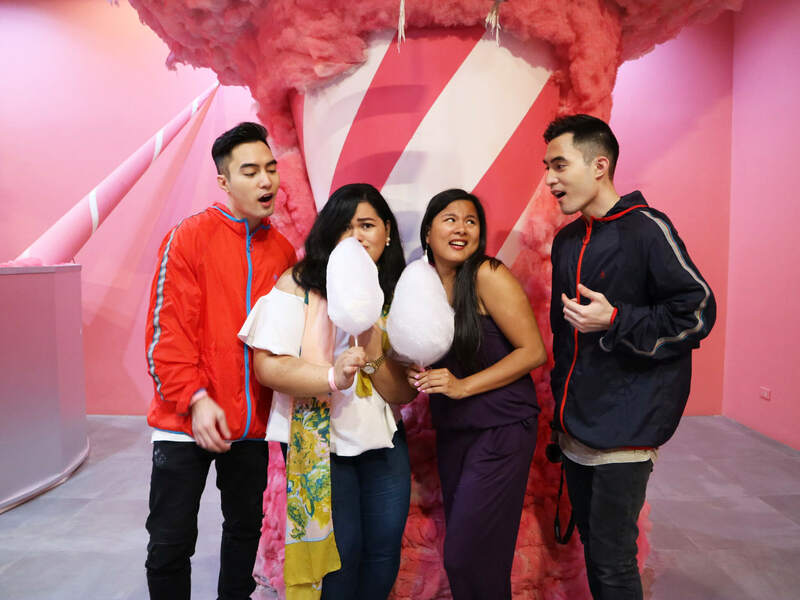 Of course, it’s only fitting to have an ice cream room at The Dessert Museum.. We loved how imaginative TDM went by installing a hot air balloon made from an ice cream cone. 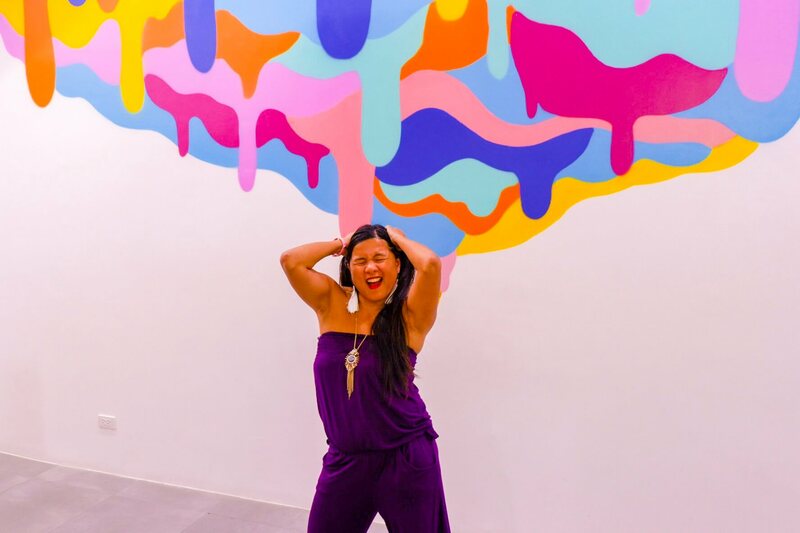 If you’re pretty artsy, have a shot and pose against the ice cream mural painted as a thought bubble. Here they offer the free ice cream on popsicle sticks which are interestingly good. You can choose from either cookies and cream, dragonfruit, avocado, mango, ube, or buko. Fond of ballpit play as a kid? 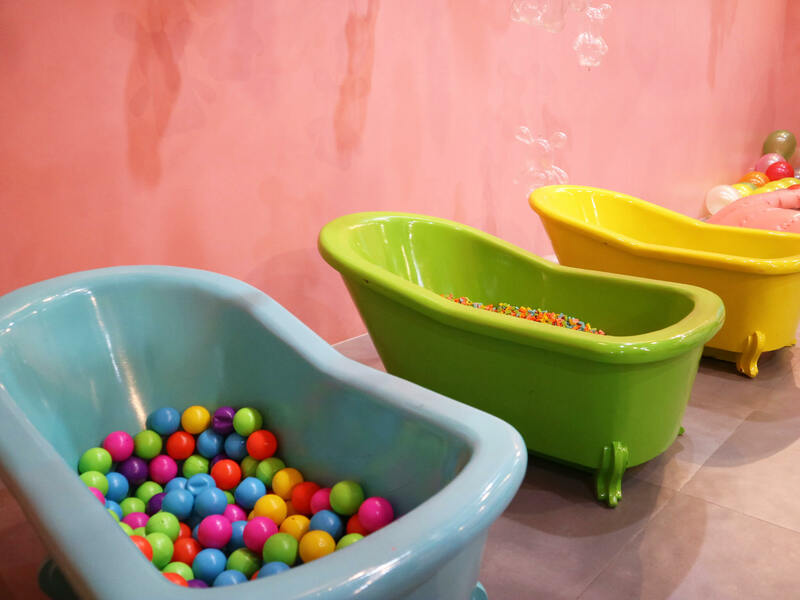 Relive your younger years at TDM’s Bubble Gum Room. 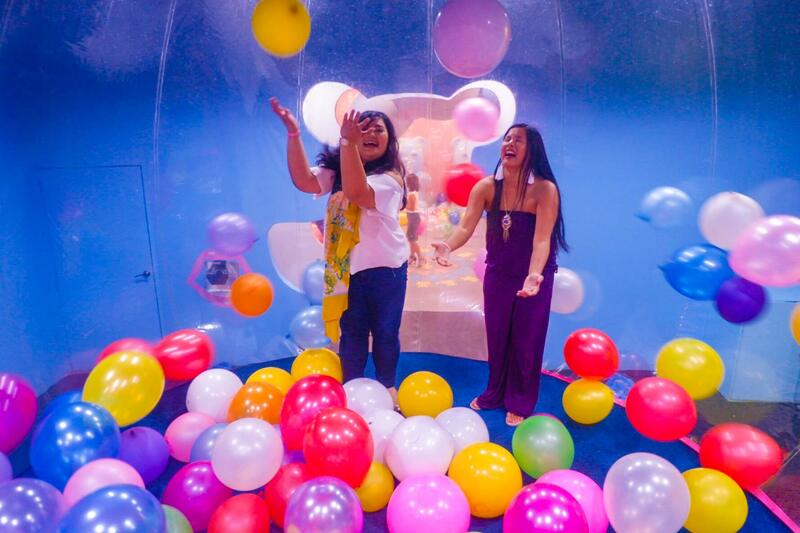 Here, you can choose to go inside the giant bubble gum machine which has hundreds of playballs and balloons spinning around the air. Or just get popping by being inside their giant bubblemaker. Pro Tip 6: You can tag a friend to take your ‘play-in-action’ shots inside the vacuum-sealed bubble gum machine. You can say hello to gigantic gummy bears on the next section. Plus, you can jump on the small trampolines here and lie down on a bathtub full of toys. And, don’t forget to claim your free gummy bears in this section too. Got sore feet? 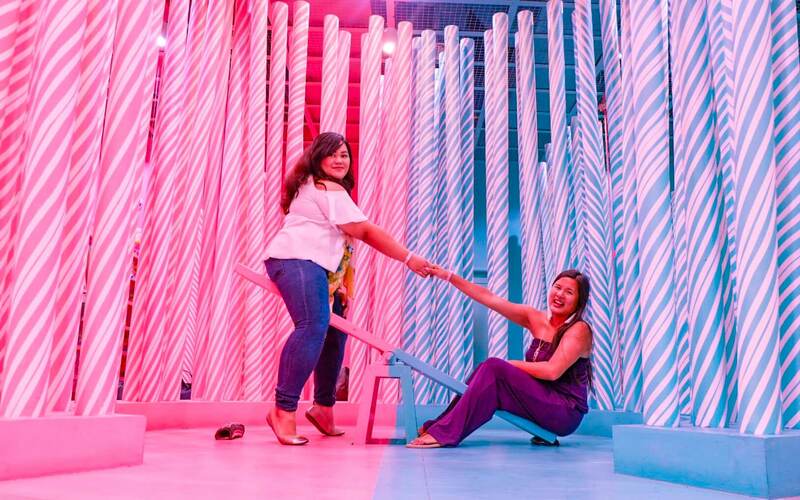 Take it easy and take a walk in the park in the Cotton Candy Room. Grab a treat and marvel at the fluffy trees and clouds made of pink cotton candy. Word of caution, don’t be deceived. They may look real, but the decorations are not for eating. And finally, we finish things off with some cake as you enter the 8th and final stop: The Cake Pop Room. 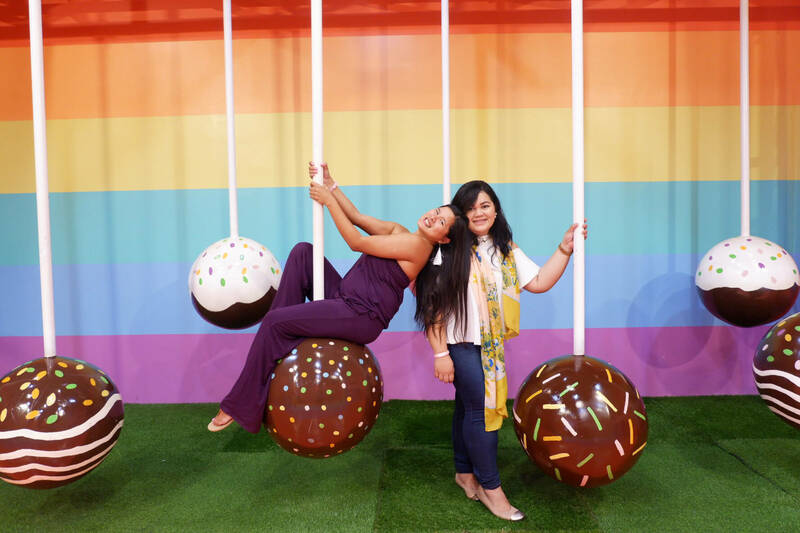 Release your inner Miley Cyrus and sit on one of the ginormous cake pops hanging from the ceiling. No swinging ala wrecking ball though! Then shoot some hoops before enjoying your own free cake pop. By now, it’s quite obvious that we all had a sweet time at The Dessert Museum and just didn’t want the fun to stop. Personally, we enjoyed how interactive and vibrant the whole place was. It was like we were all kids again running through some gigantic candy wonderland!